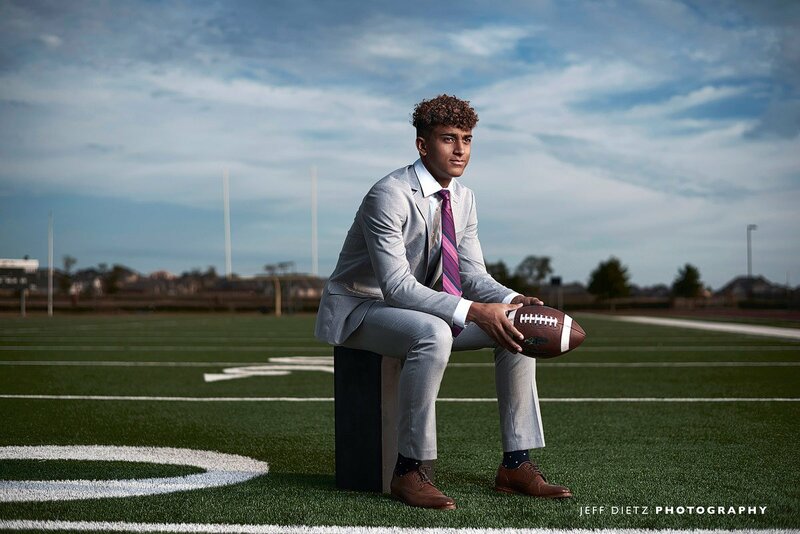 Devin has a bright future with both football and academics. 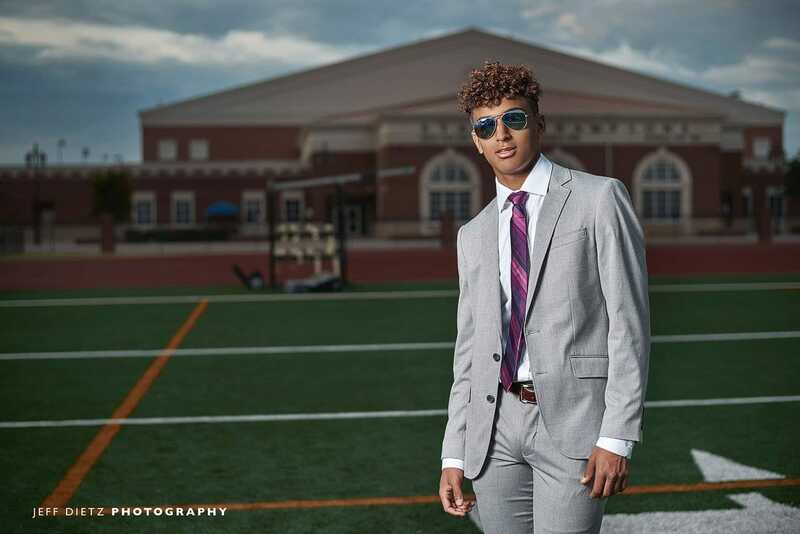 As he prepares to start his senior year at Prosper High School, we took some time out to capture these awesome Fashion Sports Portraits before the start of the season. 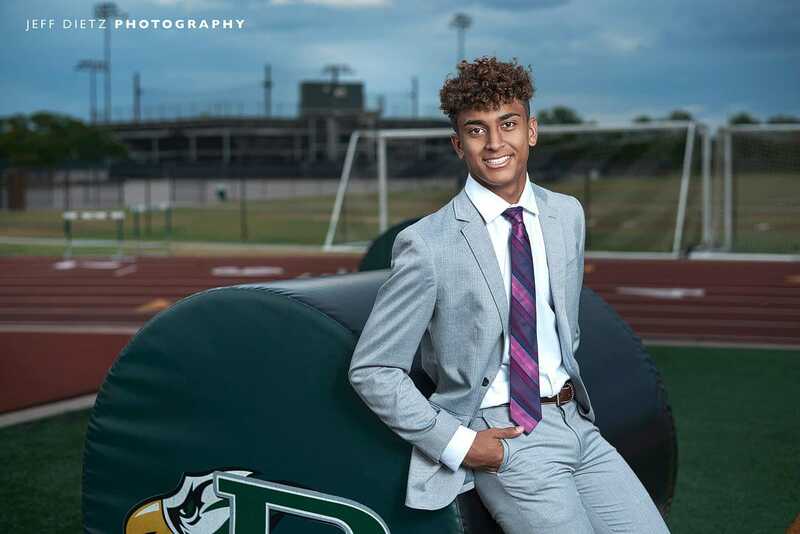 Photographed at the high school, the practice field is beautiful and allows us some great backdrops for Prosper senior pictures. 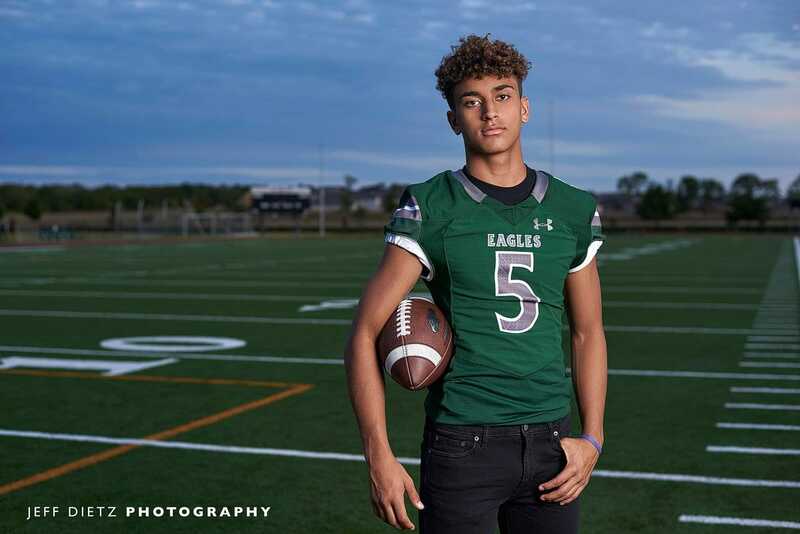 Devin told us that he will be playing some at both the position of wide receiver and cornerback and is a starter for his senior year with the team. The Eagles will start their season this year on September 1 for a non-conference game against Naaman Forest starting at 11 am at McKinney ISD Stadium. I’m looking forward to checking it out. 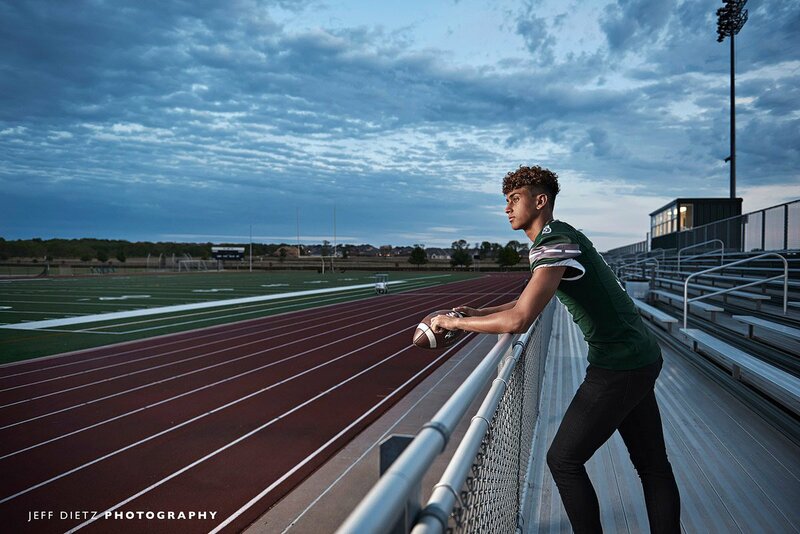 I am also happy to be featuring Devin for one of our two banners featuring Prosper football players that will hang at our stand at “Meet the Eagles” opening event, this Saturday, August 18th at 8 pm. They will be introducing all of the fall sports for the year, feature local vendors, and also ending the night with a fireworks display. 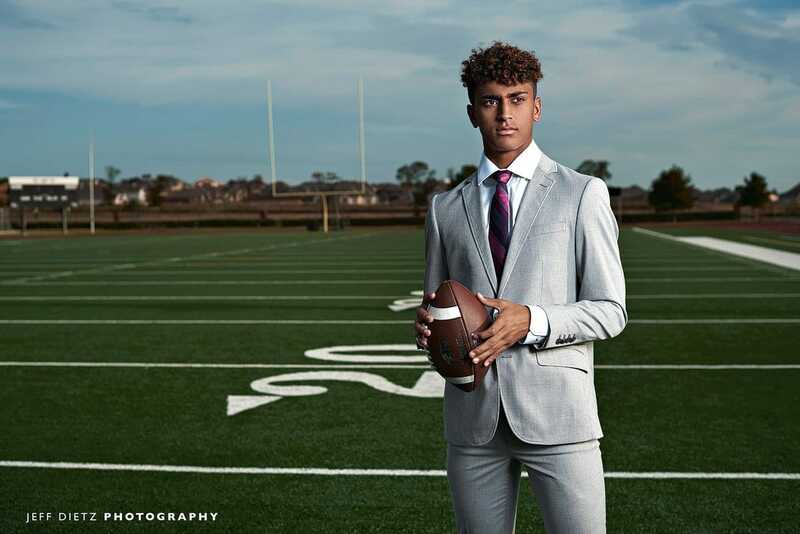 Devin’s gray suit works perfectly for his photos with a red and pink accented tie. It’s a splash of color while still be subtle and not too busy. 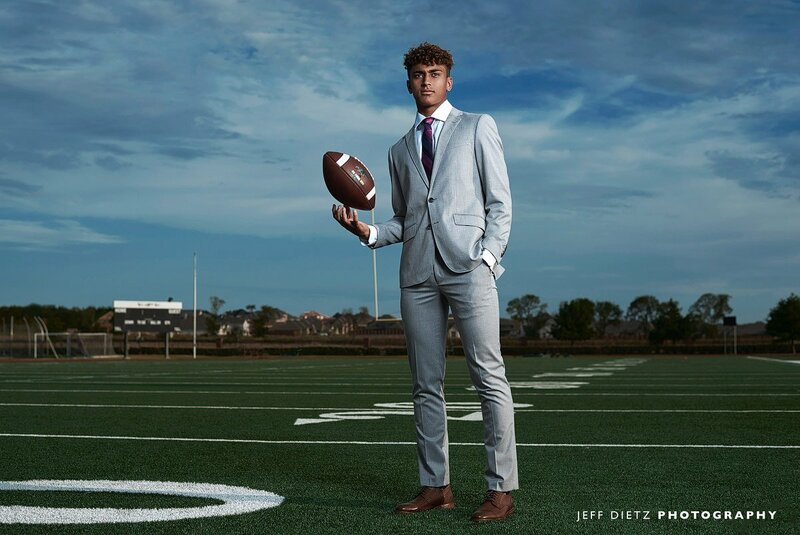 In the photo below you can see his entire outfit including brown dress shoes and a football accent. As you can see the football and shoes match perfectly which is an added bonus. We also got super lucky for this shoot and got amazing clouds! We finally got rain this week in Dallas, TX after several months of dryness. That brought this wave of clouds in that were perfect for his photoshoot to give it more mood. 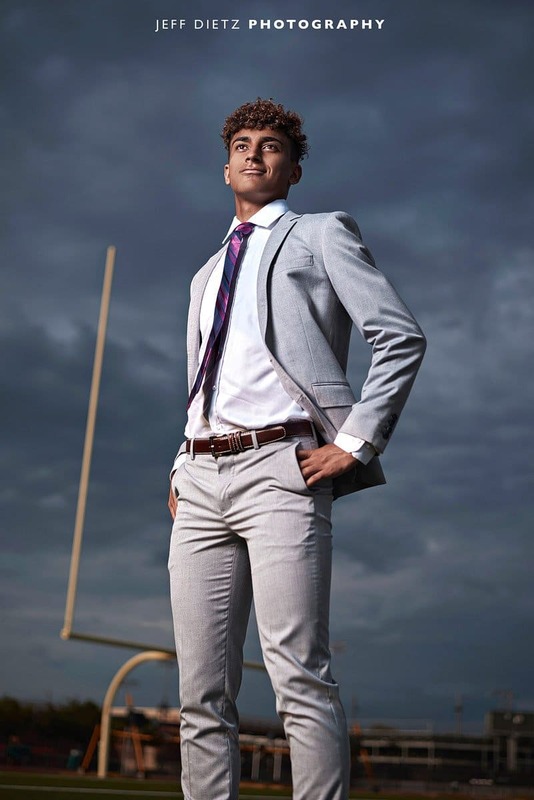 Devin wears a gray suit with white shirt, brown shoes, and red and pink tie. Aren’t you all excited! I am so excited for football this year in general. Not only high school but also watching my beloved Penn State Nittany Lions and also their new journeys in the NFL. Prosper will also be taking on a new challenge this year as they play the National Champions Allen High School. Since we have been able to photograph several players on each team, that will be a nail-biter. I’ll have to switch at each quarter on who to cheer for. You can follow the Prosper football schedule on their schools website. Still searching for more High School athletes! 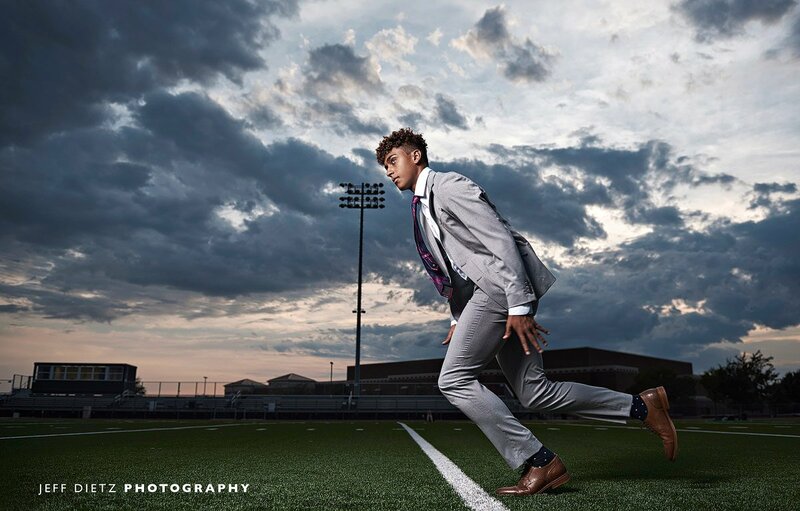 If you go to any Dallas area high school and are in athletics, we would love to work with you! Not only for football but also baseball, track, soccer, tennis, basketball, and members of the band and cheerleading. We are located in McKinney Texas so in our area, we would love more students from McKinney ISD, Frisco, Prosper, Allen, and Plano. We have several ways for you to book with us. 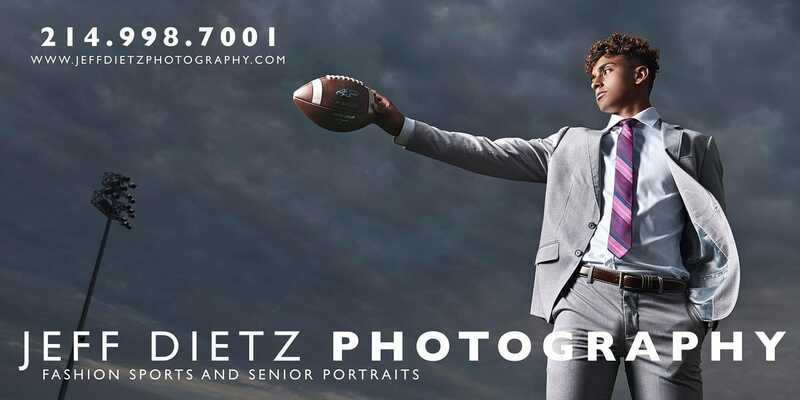 An individual sports fashion portrait session, or our creative senior portraits. Student Athletes on this site do not represent an ‘endorsement’ by those athletes and they are subject to same prices as offered to anyone.